Directions (Q. 1-15): In each of the following sentences there are two blank spaces. Below each sentence there are five pairs of words denoted by numbers (1), (2), (3), (4) and (5). Find out which pair of words can be filled up in the blanks in the sentence in the same sequence to make it meaningfully complete. 1. The ________ manner of the officer __ all his fears. Jump to Download Telangana State CAB Staff Assistant Old Question Papers pdf - The Provided previous papers of Telangana. 2. To _________ his arguments, he _________ several references. 3. As censorship was ________ people were __________ the furious battle being fought. 4. He was ________ by letter that he had _____ selected. 5. Giving unfair _________ to one’s relatives in the matter of appointments and such other benefits is ___________. 6. The Vidhan Sabha voted to _______ the ban _________ drinking. Telangana State Co-operative Apex Bank Manager Previous Papers Details Description Details Organization Name Telangana State Co-Operative Apex Bank. 7. Our army is _________ ________ the border of the neighbouring country. 8. The teacher _______ his students _________ being late to school. 9. The dimensions of the _________ are known and the solution is _________ on. 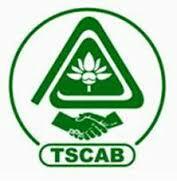 TSCAB Staff Assistant Manager Previous Years Question Papers | Download TSCAB Staff Assistant, Manager Model Question Paper. 10. There is so much _______ between the two sisters that it is ________ to know one from the other. Directions (Q. 11-15): Rearrange the following six sentences (A), (B), (C), (D), (E) and (F) in the proper sequence so as to make a meaningful paragraph, then answer the questions given below them. A. We feel these things are glorious because of the splendid triumphs. B. Because of these sacrifices we realise the victories of peace are even more glorious than victories of war. C. The word victory is associated in our minds with war. D. We are impressed by their sacrifices. E. It calls up visions of battles, bloodshed and conquests by force. F. But when we think of the philosophy of great men, scholars, social reformers, scientists and philanthropists we start thinking in a different way. 11. Which sentence should be the FOURTH in the paragraph? 12. Which sentence should be the THIRD in the paragraph? 13. Which sentence should be the FIRST in the paragraph? 14. Which sentence should be the LAST (SIXTH) in the paragraph? TSCAB Staff Assistant Manager Previous Years Question Papers | Download TSCAB Staff Assistant, Manager Model Question Paper | Here we are updating all. 15. Which sentence should be the SECOND in the paragraph? Directions (Q. 16-25): In the following passage there are blanks, each of which has been numbered. These numbers are printed below the passage and against each, five words are suggested, one of which fits the blank appropriately. Find out the appropriate word in each case. Fourteen centuries ago when the world was much younger, the ruler of all India, Rajah Balhait, was ---------- (16) -------------- about his people. A new game of dice, called nard, had ---------- (17) -------------- the imagination of his subjects. Teaching them that chance alone - a roll of the dice - guided the ---------- (18) -------------- of men. All who played this game of fortune lost their ---------- (19) -------------- in the virtues of courage, prudence, wisdom and hope. It bred a fatalism that was ---------- (20) -------------- the spirit of the kingdom. Rajah Balhait commissioned Sissa, an intelligent courtier, at his court, to find an answer to this ---------- (21) --------------. After much ---------- (22) -------------- the clever Sissa invented another game, chaturanga, the exact ---------- (23) -------------- of nard, in which the four elements of the Indian army were the key pieces. In the game these pieces - chariots, horses, elephants and foot soldiers - joined with a royal counsellor to defend their king and defeat the enemy. Forceful ---------- (24) -------------- was demanded of the players —- not luck. Chaturanga soon became more popular than nard, and the ---------- (25) -------------- to the kingdom was over. Here Download TSCAB Manager Previous Papers Free PDF Files / CAB of Telangana State Manager Scale I Previous Year Question Papers.